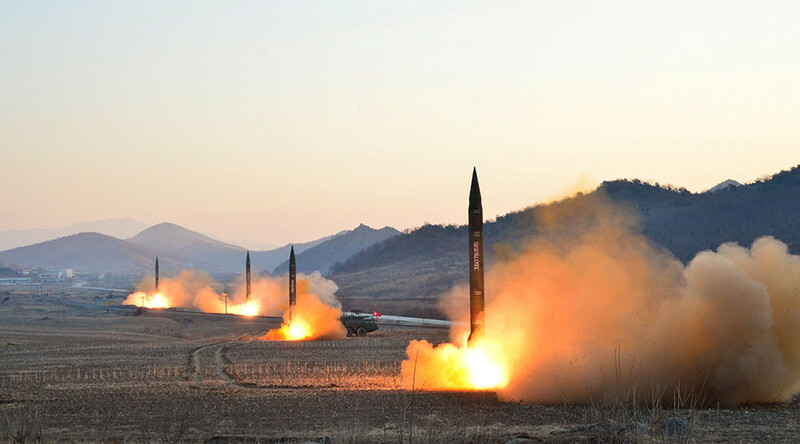 The missiles were launched from Kittaeryong, in North Korea’s eastern Kangwon province. According to US Pacific Command spokesman Commander David Benham, two of the missiles fell into the water, while a third blew up at the launch pad. "Initial assessment indicates three short-range ballistic missile launches. The first and third missiles at 11:49am and 12:19pm failed in flight," Benham said in a statement, as quoted by ABC. "The second missile launch at 12:07pm appears to have blown up almost immediately." The missiles flew 250 kilometers (155 miles) in a northeastern direction before falling into the sea, according to the South Korean Joint Chiefs of Staff. The three launches come as the US and South Korean militaries hold the joint Ulchi Freedom Guardian exercises in South Korea, which Pyongyang considers to be a provocation and threat to its security. “The reality vividly shows that the US ambition for stifling the DPRK [Democratic People’s Republic of Korea] remains unchanged no matter how much water may flow under the bridge and the puppet group’s ambition for invading the north remains unchanged,” North Korea’s official news agency KCNA said on Friday. On July 28, North Korea tested its Hwasong-14 ballistic missile, which with a range of 10,000 km (6,200 miles) is theoretically capable of hitting the US mainland. This led to a dramatic escalation in rhetoric from both Pyongyang and Washington, with US President Donald Trump threatening unleash “fire and fury” on North Korea if it continued making threats against the United States. Pyongyang responded by saying it was working on a plan to launch a medium-range ballistic missile close to the US territory of Guam, some 3,200km from North Korea. Guam, a tiny US territory located in Micronesia in the western Pacific, is home to two major American military bases housing over 6,000 personnel. 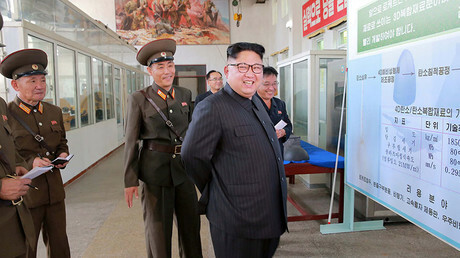 However, the North Korean government then seemed to back off, with reports from the Korean Central News Agency (KCNA) saying that leader Kim Jong-Un had vowed to wait a little longer to watch “the foolish and stupid conduct of the Yankees,” and urged Washington to refrain from further escalating the Korean crisis.